A Healthy Eating + Active Living (HEAL) Community Coalition. 2018 Worksite Wellness Challenge Has Launched! Our 15 challengers have been selected and matched with coaches! Click below to get sample policies, scorecards, promotional materials and other resources! Attend the Mayor-a-thon on Saturday, June 23, for a morning of fun, food, and prizes! It’s free — just bring a healthy food item for our Healthy Food Drive! Registration is now open. 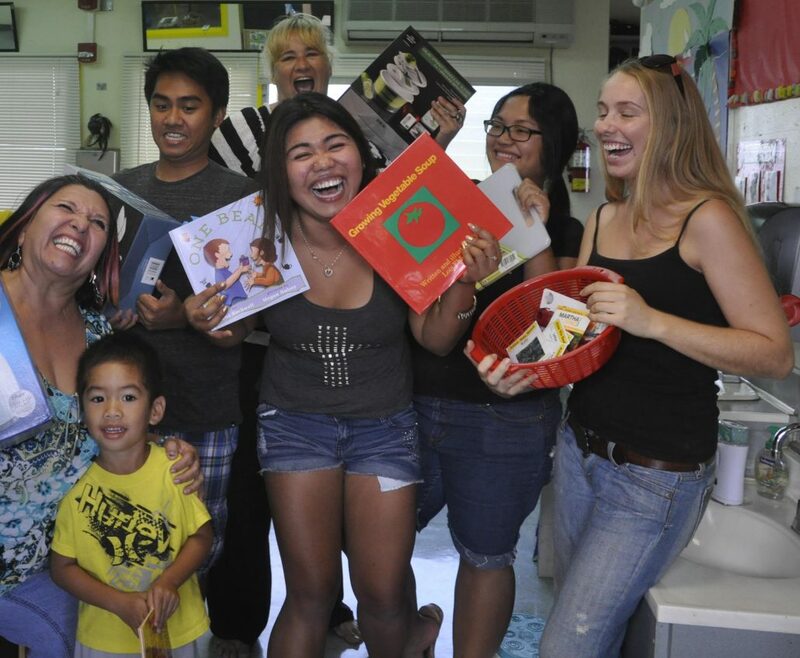 Get Fit Kauai promotes and facilitates Healthy Eating and Active Living (HEAL) for the Kauai community. We help educate people about the importance of policy changes as an important foundation to support and promote HEAL. 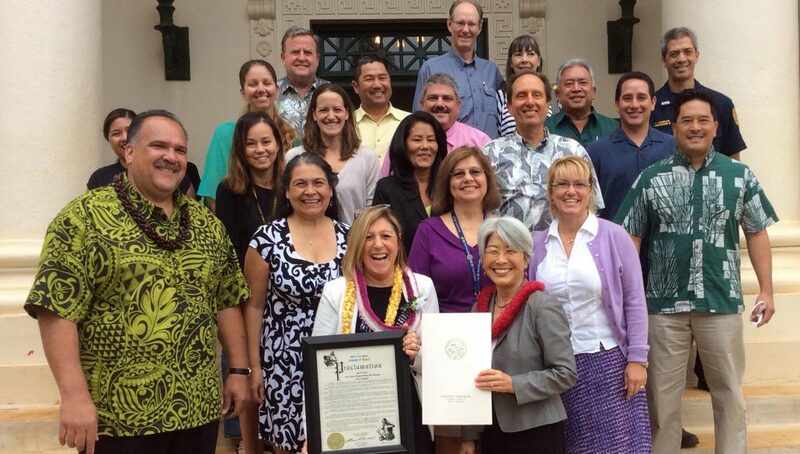 Since 2009, we have served as an important bridge-builder between Kauai community residents and our elected county and state policy makers, moving us towards healthier communities across our island. Our efforts are carried out by our task forces, comprised of experts and concerned citizens across Kaua‘i. Get Fit Kaua‘i (Healthy Eating + Active Living) Coalition is a dynamic association of organizations, community people, and elected officials that have been committed to promoting physical activity and healthy eating on Kaua‘i since 1994. 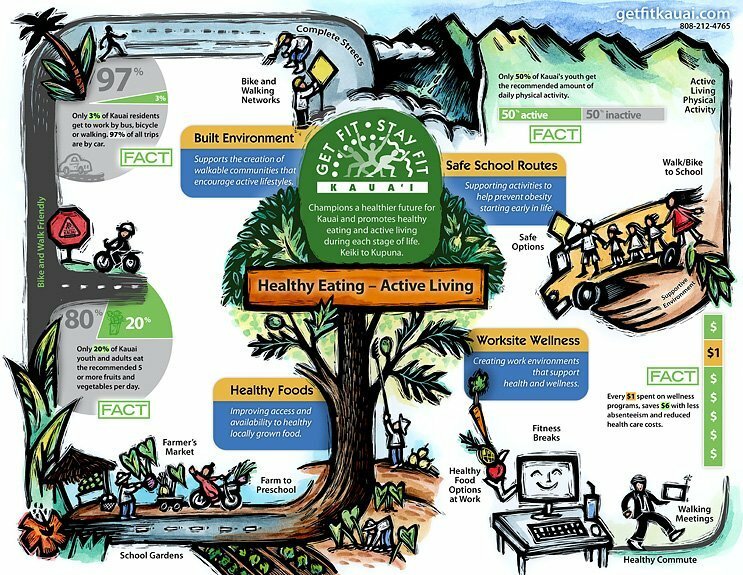 Since establishing its Built Environment and Safe Routes to School Task Forces in 2009, Get Fit Kaua‘i has made tremendous strides in promoting physical activity through policy change, programs, and projects. The coalition has led successful advocacy efforts for three major policy changes, including: 1) a county Complete Streets resolution (2010); 2) a statewide Safe Routes to School Bill that allocates funding from speeding traffic violations to counties for Safe Routes to School efforts (2012); and 3) a county ordinance that requires sidewalks and shorter block lengths (2013). The coalition continues to work closely with government agencies and policymakers to ensure accountability and that these policies are being implemented in a timely manner. 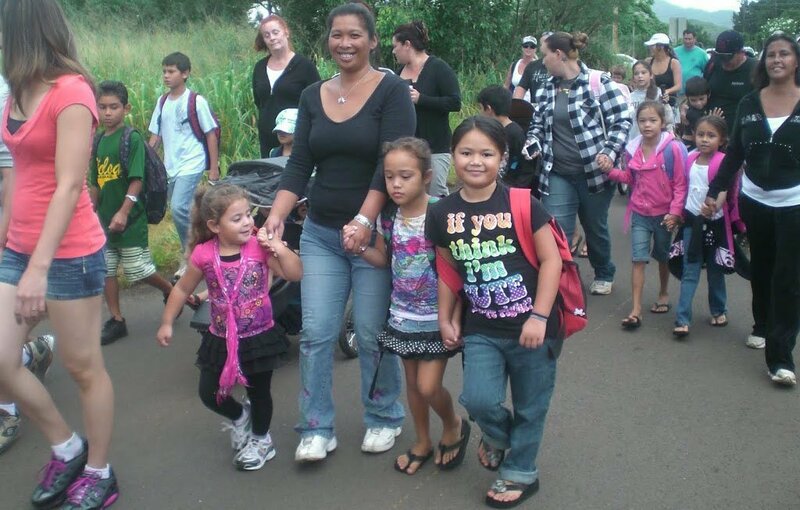 Get Fit Kaua‘i has also led Safe Routes to School programs in the county. The coalition recruited interested schools and helped them to organize monthly Walk to School Days. For the 2015-16 school year, a total of 3,393 children and 676 adults across five schools participated in Walk to School Days. The coalition has also partnered with the County Public Works Department to develop infrastructure improvement plans for participating schools, and several changes to improve the safety of crosswalks have been implemented. creating the Mayor’s Walking Workbus, a lunchtime walking group with the Mayor. Get Fit Kaua‘i is a model for how a community coalition can make meaningful changes to increase physical activity both through short-term (e.g. programs) and long-term (e.g. policy) strategies. Get Fit Kaua‘i has fostered multiple champions within the coalition, which helps to ensure that the work of the coalition is sustained at multiple layers of government and community functions. Welcome to our new home on the web! 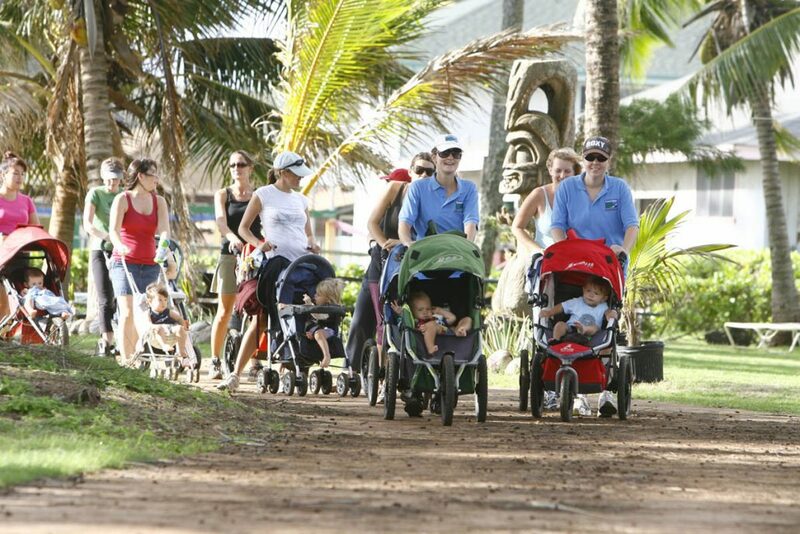 In 2016, Get Fit Kaua‘i was brought into the Hawai‘i Public Health Institute (HIPHI) family of programs. As part of the Healthy Eating + Active Living (HEAL) program at HIPHI, Get Fit Kaua‘i joins similar programs on sister islands to positively impact public health throughout the state. Below you will find latest news items, upcoming events, and information on how to get involved. Mahalo for stopping by! Our task forces are comprised of dedicated volunteers and experts who work as a team to address built environments, health eating, and safe routes to schools in Kaua‘i. Our current zoning system can make it difficult for residents to engage in active transportation, which is travel via walking, biking and transit. 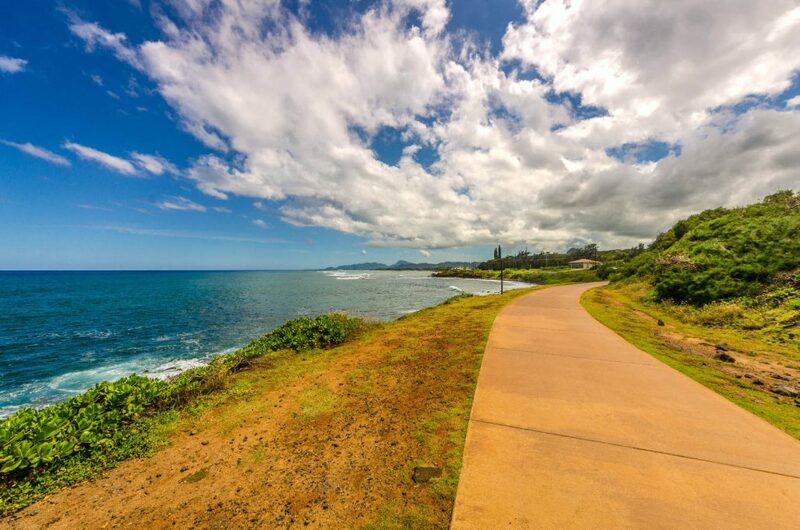 The Built Environment Task Force recognizes that Kauai’s land use system should support active, healthy lifestyles through human-scaled, rather than automobile-centered, development. This is a critical task given increases in obesity and obesity-related diseases in Hawai‘i. As a task force, we are committed to helping the County make the necessary changes to its planning system in order to support healthy community design. When it comes to employee health, it takes more than just offering sick days to keep your employees healthy and productive. Worksite health promotion programs can have a positive effect on health status, reduce absenteeism, improve productivity, and increase morale. To enhance the health of kids; Increased physical activity can combat a host of health problems facing kids today. To improve air quality and the environment; replacing car trips to school with walking or bicycling can help reduce air pollution. To create safer routes for walking and bicycling; Sidewalks, education programs and traffic calming measures are some of the ways to improve conditions. Get Fit Kauai has teamed with Kauai Police Department, the Department of Education, and the County of Kauai to improve safety around schools and encourage more children to walk and bike to school through Safe Routes to School program implementation. If your school does not currently have a Safe Routes to School champion, and would like to start a SRTS program at your school, use the form below to contact Bev Brody, the Director of Get Fit Kauai.